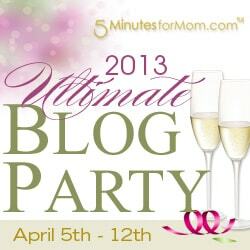 Dreaming with Midnite » Blog Archive » #UBP’13 The Party is Here! Welcome to my humble abode! I’m the mom of two girls, ages 4 and 17 months. I read, crochet and play World of Warcraft and Star Wars: The Old Republic when time and money allow. I love to cook and have recently started using my freezer to take the stress out of dinner time. In addition to all those quiet, at home activities I mentioned earlier, we are HUGE Disney fans. Since we live in Central Florida, it just made sense once we had kids to become annual passholders, so you can find us there about once a month. We usually stay at Fort Wilderness with our popup camper, but we have stayed at several of the resort hotels (Animal Kingdom Lodge, Boardwalk, The Dolphin, and The Yacht and Beach Club). I also love to travel in general, but it’s a lot more difficult with 2 young kids in tow. With the help of obsessive planning and our popup, we hope to get back to trips other than Disney in the near future. St. Augustine’s Anastasia State Park is next on my list, and we’ve already stayed at one of my other personal faves, Fort DeSoto Park. One last note about me and my blog. At the time of this writing, NONE of the reviews that I have on my blog were sponsored and any time I talk about a product or location it is because I either loved it or hated it. I do occasionally use Amazon affiliate links, but those are few and far between. While I wouldn’t mind receiving free products, I find that reviews requiring me to blog mean my posts aren’t genuine. I want to write when I feel like writing about whatever I feel like writing about. Thanks for dropping by to party with us. Speaking of travel we are going to travel soon with a 5yo and a 11 months old. Eeps as of the moment I’m already planning things to bring to entertain the kids. I am a huge Disney fan too. We are hoping to move closer to Disney soon. We have been going to DtD about once a month to pin trade. This coming Tuesday we are going to Boma’s for my birthday dinner. I have never ate there so I am rather excited. We want to buy the AP soon, so we can go all the time. My blog is part Disney. I love meeting other Disney loving bloggers. The older my girls get, the more often we find ourselves at Disney! At 4, my oldest is into everything princess and anything on Disney/DisneyJr channel on TV. My 17 month old “baby” is into anything that allows her to be out and about.